Detailed data on the sources of crime guns in Canada is not publicly available from federal agencies. 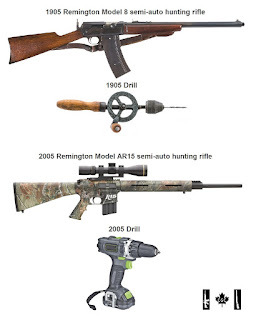 Canadian Department of Justice 9.2 Sources of Illegal Firearms "Canadian studies have not yet focused on these issues, and U.S. research findings cannot be transposed to the Canadian situation." Anti-gun proponents push the narrative that criminals source their illegal guns through theft from licenced firearm owners. They push this false narrative to support their argument that firearms should not be stored or located in residential locations. Evidence from media reports and quotes of law enforcement officials to media often suggest a much different picture. Many firearms recovered from crime scenes and seized by law enforcement are those classified as prohibited in Canada and must have been sourced through smuggling. Gun magazines seized by police from criminals usually show no signs of ever having been modified to meet Canadian magazine capacity restrictions and must have been sourced through smuggling. Evidence suggests that the bulk of illegal firearms used by criminals in Canada are sourced through smuggling operations opposed to theft from licenced Canadian firearms owners. CCFR: 50% of crime guns did not come from legal gun owners. RCMP: "In Canada, the illicit firearms market is supplied primarily by smuggled firearms"
NWEST (National Weapons Enforcement Support Team): "94% of the firearms seized in Vancouver in 2002 originated in Washington State"
Inspector in charge of the Vancouver Police Department's drug and gang-crime units Dean Robinson: "police trace a majority of illegal guns to Washington State". Hamilton Police Chief Eric Girt: "The bulk of the guns that make their way into this community in Hamilton are largely from Ohio"
CSSA: "A government study indicated that 70% of all handguns linked to criminal incidents are not registered in Canada, and there is no evidence that the remaining 30% are used for criminal purposes by their legitimate owners. 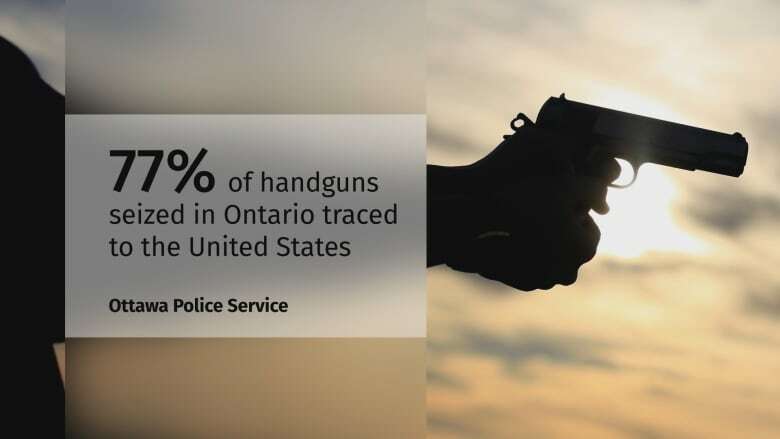 The majority of illegal handguns are smuggled into Canada from the United States." Green Party of Canada: "The problem with handguns is due mostly to illegal handguns smuggled from the USA." LA Times: 70% of the crime guns recovered and traced in Mexico, and 98% of crime guns in Canada originate in the U.S.